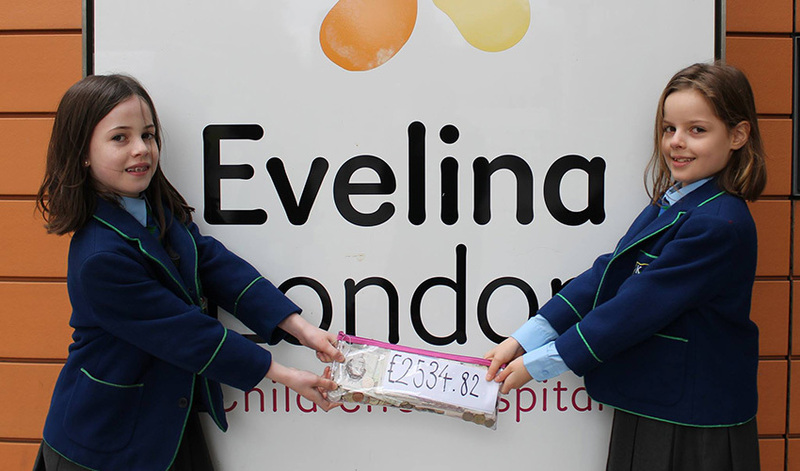 Schools fundraising is hugely important to Evelina London. Donations from schools play a vital part in helping us to provide better care, equipment as well as the little extras that can make their stay in hospital more comfortable for our patients, but it also gives us a chance to reach out to the next generation of Evelina London supporters. Fundraising for Evelina London is also really fun and can unite the school in a common goal! We are happy to offer ideas and advice to help support your school’s fundraising efforts and make your fundraising or partnership with us as successful as possible. Fundraising resources such as Literature, T-shirts for lead fundraisers, balloons, Buckets, Tins, Posters Fundraising guide. Your pupils own fundraising ideas – made a realty! Which of our campaigns are you fundraising for? We can also supply additional fundraising materials, please select from the list below. Should you need more resources than the above, we can discuss this upon receiving your application. Funds raised make the biggest impact to our hospitals and community services when they are allocated to the clinical areas where they are most urgently needed. Are you happy for us to use your donation where it is needed he most? Are you happy for us to use your donation where it is needed the most? Please be aware that if you choose to restrict your funds to a specific area of our work, your contributions are transferred as swiftly as possible to the cause you have chosen. Once transferred it can be used immediately by our clinicians or academics, making it difficult to recover. Therefore, changes will not be made at a later date. Thank you. Some employers are willing to match some or all of your fundraising through a matched giving scheme. Are you eligible for a matched giving scheme? What is your primary link to the hospital? Where did you hear about fundraising for Evelina London? Are you fundraising in memory of someone close to you? 6. Would you like to share your story? Would you like to promote your story on our website and social media? Guy’s and St Thomas’ Charity will hold your details to personalise your supporter experience. We’d also like to keep you up to date on fundraising and what’s happening at Guy’s, St Thomas’ and Evelina London Children’s Hospital. If you would prefer not hear from us you can stop receiving further communications at any time by telephone on 020 7848 4701 or info@supportevelina.org.uk. For information on how we will use your details please see our Privacy statement. We'd also like to keep you up to date about fundraising, news and events via the e-mail address you have provided above. Are you happy for us to do so? You can change your preferences at any time by contacting our Supporter Care Team on 020 7848 4701 or info@supportevelina.org.uk.